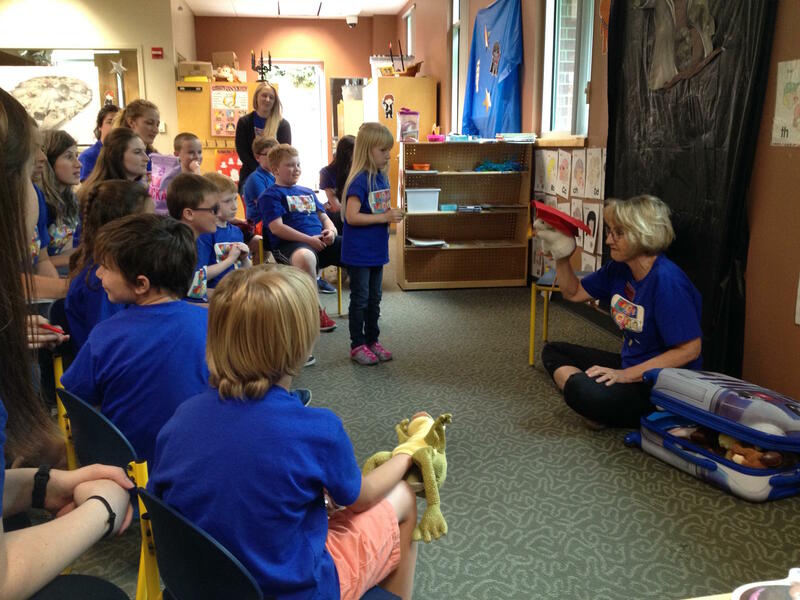 Dr. Nancy Potter works with kids at Camp Candoo, a summer camp for children with apraxia at WSU Spokane. SPR's Doug Nadvornick reports on WSU Spokane's Camp Candoo. Summer is a time for children to have fun and get a break from school. Many kids go to summer camp; those are often in nature settings. There’s one summer camp in downtown Spokane devoted exclusively to children with speech impairments. It’s called Camp Candoo and it’s located on the WSU Spokane campus. What started six years ago as a two-week purely local camp for kids with childhood apraxia of speech has now become an experience parents around the country seek for their children. There are kids here from western Washington, Canada, California and New Mexico. They’re parked around a table with WSU and Eastern Washington University communications disorders students. The children are doing an art project based around letters of the alphabet with the students encouraging the children to say those letters. 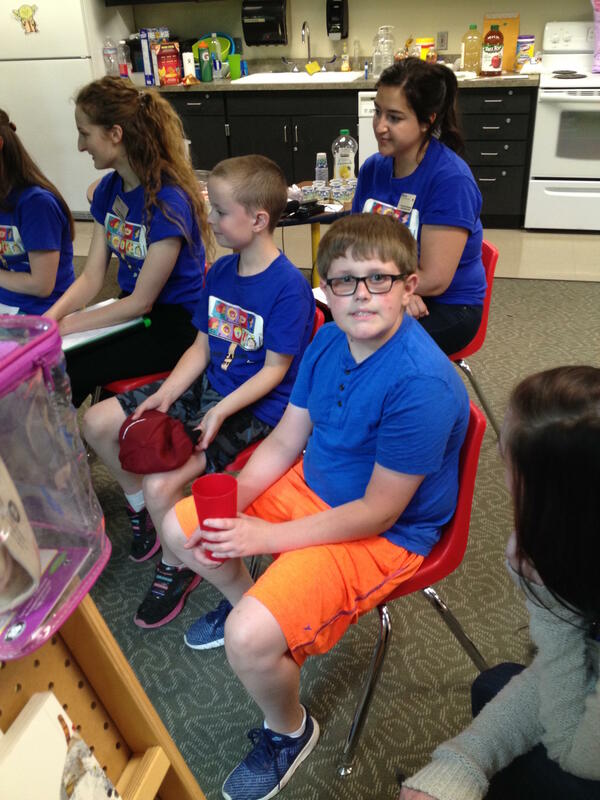 “The way Camp Candoo is set up is they have one-on-one time and they have group time," said Amy Meredith, the camp co-director and a clinical professor in WSU's Department of Speech and Hearing Sciences. Meredith says childhood apraxia of speech is a condition where a child might be thinking a series of words, but is unable to move those words from his or her brain to the tongue in the right order. Some of these children have attended Camp Candoo for several summers. Meredith says their parents bring them and watch the sessions from an adjacent room. Isaac Kenner was one of the children who graduated recently from WSU's Camp Candoo. Brian Kenner brought his 11-year-old son Isaac. Kenner says Isaac has worked with the WSU teachers and students since last year and made significant progress. For years, this camp has been one of the few in the U.S. for kids with apraxia. But this year’s event may lead to spin-off soon in California’s Bay Area. Jenny Magee works for a private therapy practice called Speech Marin. She says her boss heard Amy Meredith speak about apraxia at a conference and wanted to learn how to replicate the camp near San Francisco. So Magee’s here soaking up lessons. Organizers of Camp Candoo will begin accepting applications for the 2019 camp early next year.